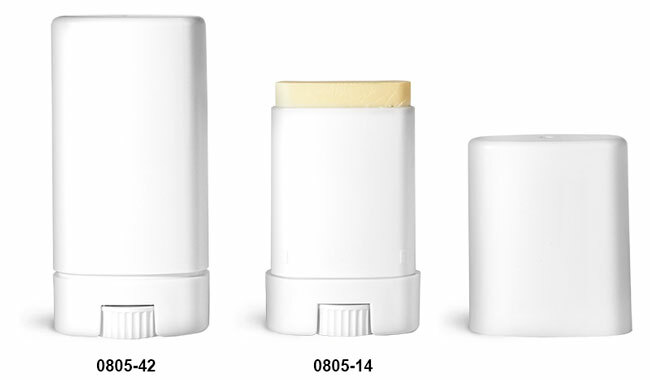 These white compact deodorant tubes are offered with matching white snap caps. These deodorant containers feature a ribbed turning wheel at the base of the tube that allows your product to be neatly dispensed. The unique oval shape offers a fresh new look and could possibly be used for products such as lip balms, deodorants, solid sunscreens, cosmetics, insect repellents, solid fragrances, and more.